When it comes to buying a new home, you may think that because it came with brand new appliances that you have nothing to worry about repair-wise. However, brand new doesn’t mean infallible. It just means never used before or newly manufactured. Guess what? Even the newest home systems and appliances fall short sometimes — and they’ll usually malfunction at the oddest, most inconvenient times. This is true whether you’re in a brand new home or a house that you’ve been living in for years. So the question arises: should you buy a home warranty or a home appliance warranty to protect the systems & appliances inside your home? Recently, some friends of ours were raving about their experiences with a home warranty, so I did a good bit of research to help my hubby and I decide if it makes sense for us. For the record, a home warranty is the exact same thing as a home service plan or a home service contract. So first, let’s talk about what’s covered under a home warranty vs a home appliance warranty. IMPORTANT: Don’t confuse a home appliance warranty offered through home warranty companies with extended warranties offered by retailers and manufacturers. One of the most popular extended warranty companies for electronics and appliances is Square Trade. You’ve probably heard of it. Even major online retailers like QVC and Amazon choose Square Trade to handle their extended warranties. They’re good, but home warranty companies are better. Through a home warranty company, you get faster service from a certified technician (that you don’t have research and to find yourself). And you’ll get the item repaired or replaced much faster than you would through a traditional extended warranty. Working with a home warranty company is completely hassle-free because all of the burden is on them. With a traditional extended warranty on appliances and gadgets, all of the burden is on you. What About A Combination Plan? A combination plan from a home warranty company provides coverage for both — your home’s systems and appliances. That way you’re not stuck with out of pocket expenses should any of the above items malfunction after you move into your new home. There’s probably not a single home service contract that is written to perfectly meet your needs, as is. Fortunately, most home warranty plans allow you to purchase optional coverage for things like a hot tub or spa, second refrigerator, swimming pool, pumps, and anything else not covered by the basic plan. In my opinion, paying for either a home warranty or an appliance warranty can be beneficial — especially if you’re living within a budget and you are tight on cash. 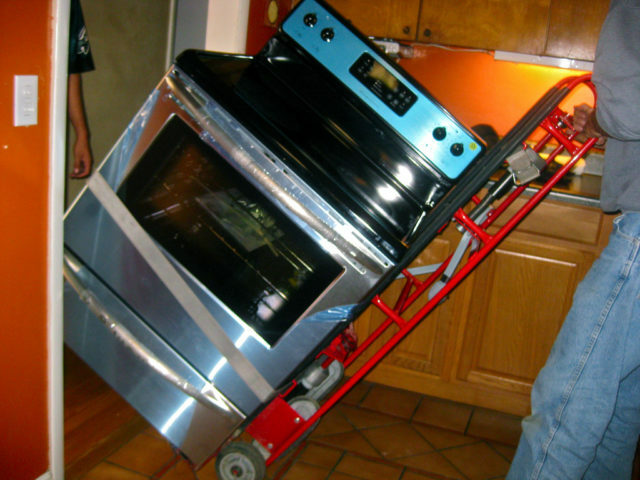 The cost to repair or replace appliances can catch you by surprise! Home warranty companies write their contracts to protect themselves, moreso than you. The best way for them to do that is to write certain clauses and exclusions into their contracts that benefit them more than they benefit you, the homeowner. Before committing to a home warranty, weigh your options. Read the fine print and know exactly what you’re getting for your money. If there is any contractual language that you don’t understand or don’t like, talk it over with the agent. They want you as a customer, so you might be surprised by how helpful they are. Get all promises in writing and make sure that everything you want to be covered is included in the home service contract. Choose your home warranty company carefully – they vary by region. Learn about their reputation, how they treat their customers, and how quickly they respond to service calls. Find a home warranty company in your area. In most cases, the cost of a home warranty is much cheaper than having to cover the cost of unexpected repairs and replacements yourself. A home warranty also gives you peace of mind — especially when you end up having to have something fixed more than once. As a home buyer, you get warranty coverage on the home systems and appliances that come inside your new home. Items will be repaired quickly and effortlessly on your part. Plus, you’re protecting your cash flow. As a home seller, the home is likely to sell faster and at a higher price with a home warranty being offered.